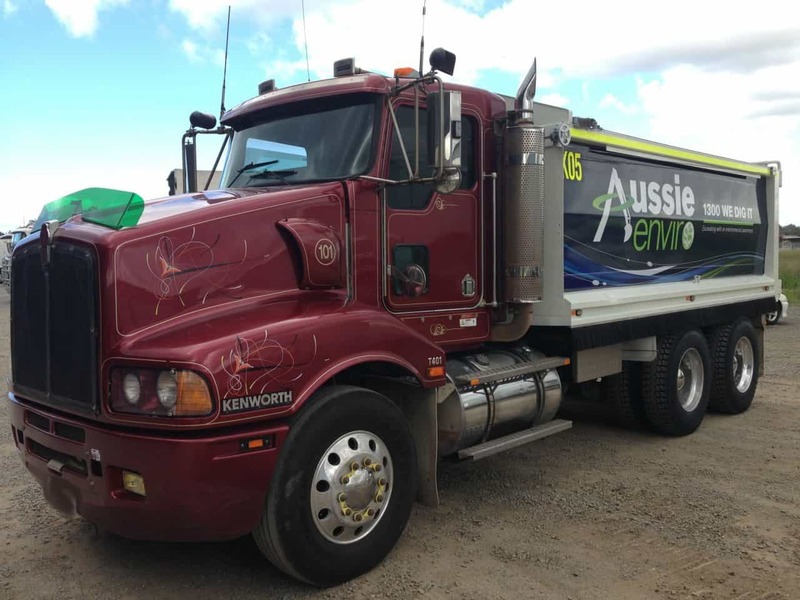 Included in our trucking capacity are 10m tippers, truck and dog, tilt tray floats and water trucks. 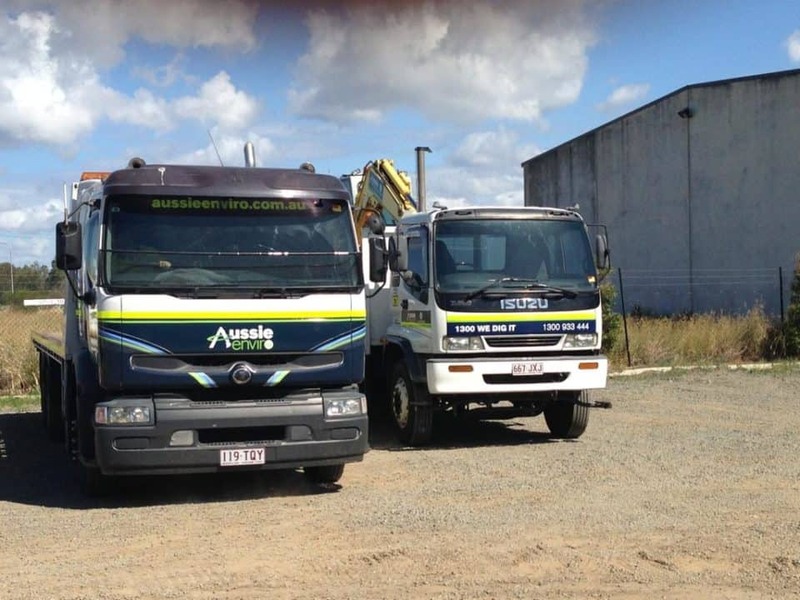 With a fleet at the ready, Aussie Enviro runs its own trucks to service sites in Brisbane, remote areas in South West Queensland and Northern NSW. 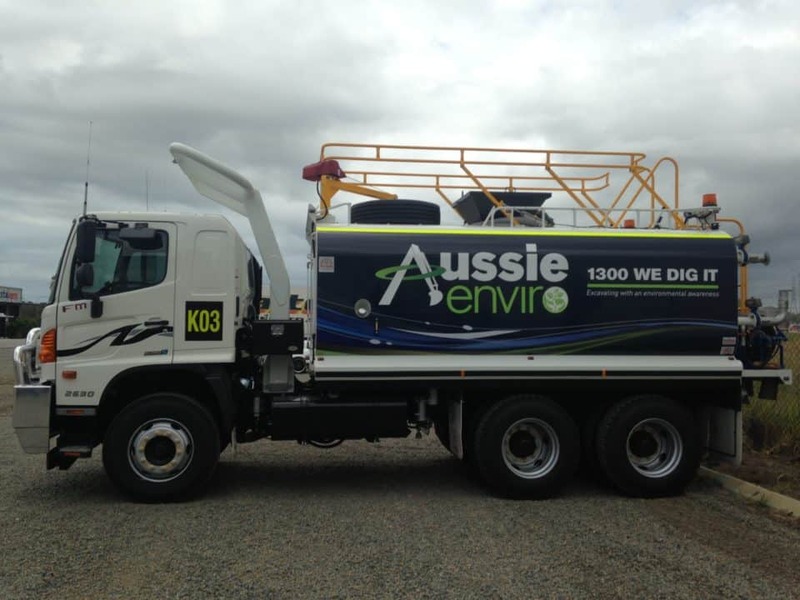 Our handy 15,000 litre mine specification water truck is fitted with lay flat hoses, 360 degree water cannon (for those difficult to get to places), adjustable batter sprays, kerb cleaning sprays, high centre sprays, lower road sprays, roll-over protection (ROP) and fall-over protection (FOP). 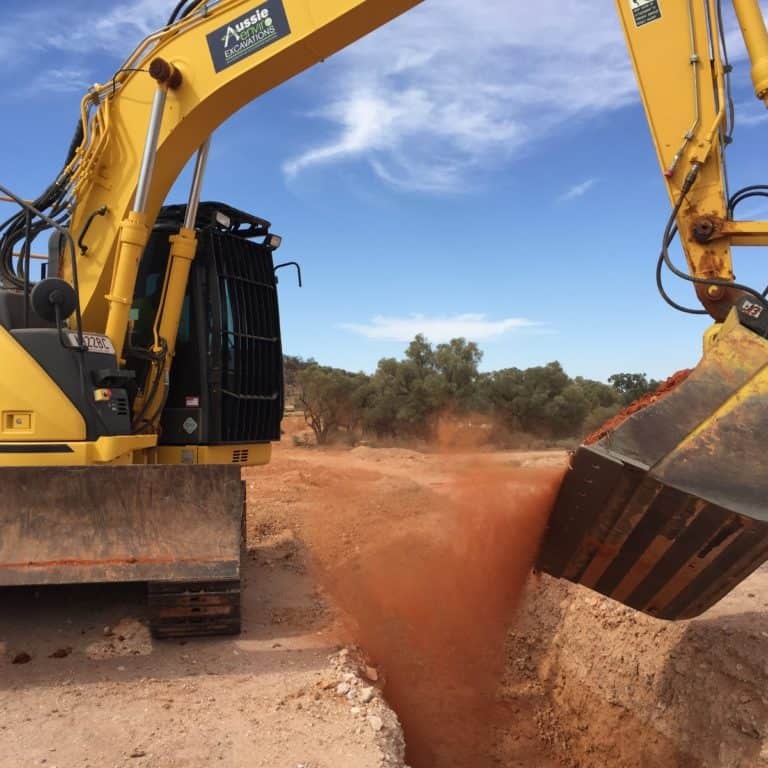 Carrying recycled water the truck is perfect for site dust suppression or pavement / road cleaning, however it is also useful for landscaping purposes such as watering grasses and plants or filling dams. 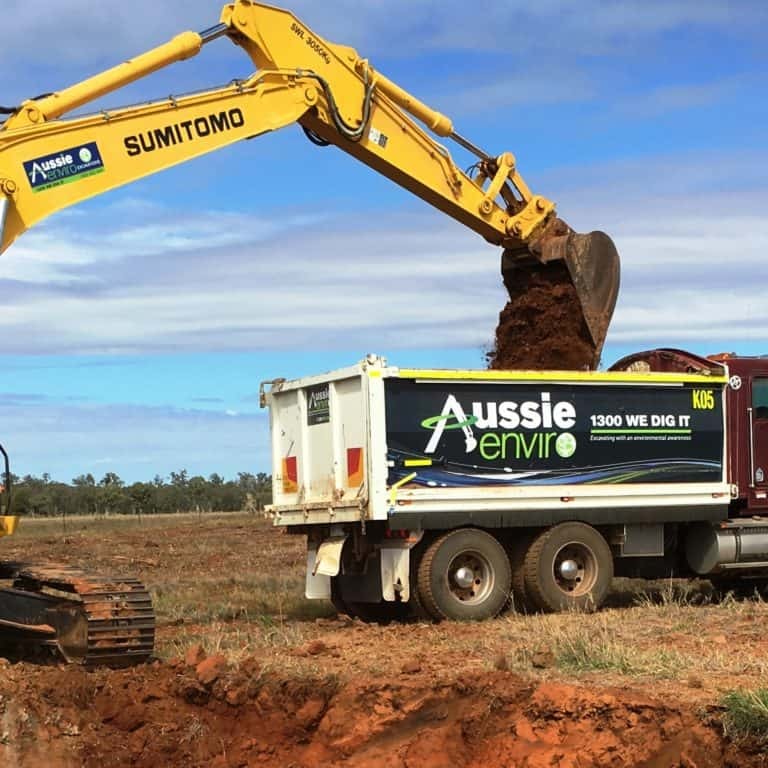 Designed to carry up to 10m³ of material our body trucks are fitted with retractable tarps, low and high sided bins, flashing lights, reversing beepers and the latest safety features. 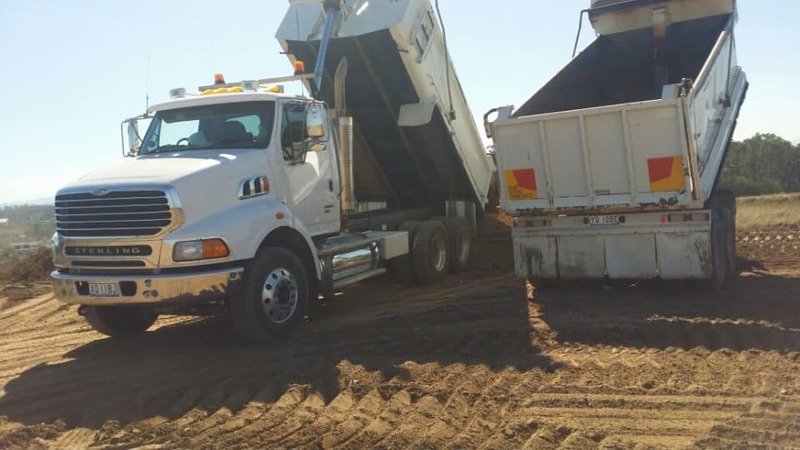 Our Trucks can carry all matter of site material from site refuse (such as concrete blocks / rocks, trees / shrubs, topsoil, clean fill, stumps) or site building materials (such as road base, sand and rock). 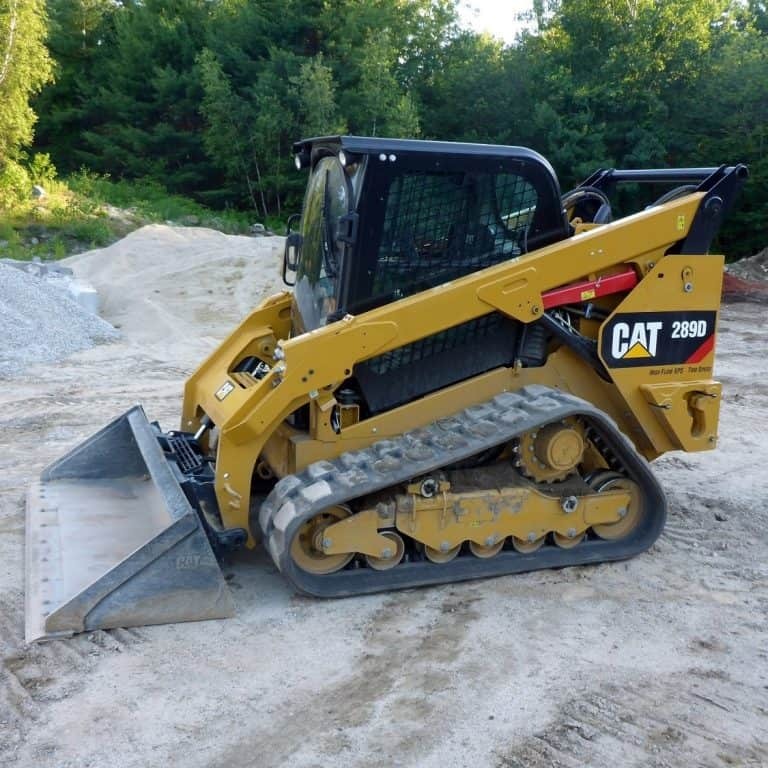 Our late model tilt tray and beaver tail trucks are perfect for transporting our smaller excavators and skid steer loaders to and from the job site. They come with advanced features such as an in vehicle monitoring system to monitor driver movements and compliance with NHVR laws.